Athletic Bilbao finished the first leg of their Copa del Rey round of 16 tie against Barcelona with just nine men, yet they still won 2–1. The result was as much of a shock to the visitors as Aritz Aduriz’s throat punch on defender Samuel Umtiti shortly before halftime. 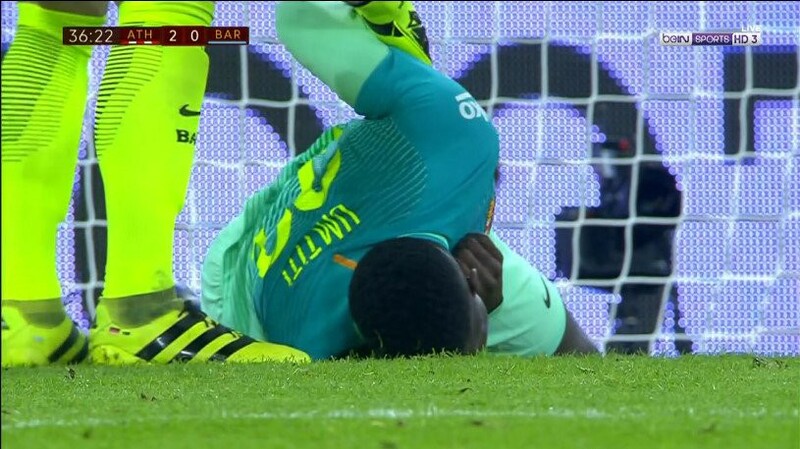 Aduriz, who scored the match’s first goal, was not punished for the blow itself, but both he and Umtiti were booked for scuffle that took place once Umtiti regained the ability to breathe. Bilbao scored their two goals in a span of three minutes during the first half, but Lionel Messi got one back in the 52nd minute. In the 74th minute, Bilbao’s Raul Garcia received his second booking and six minutes later, the same happened to teammate Ander Iturraspe, leaving the home side with nine men for the final 10 minutes. Barca will surely be better prepared for the second leg back at the Camp Nou, perhaps even with throat protectors.